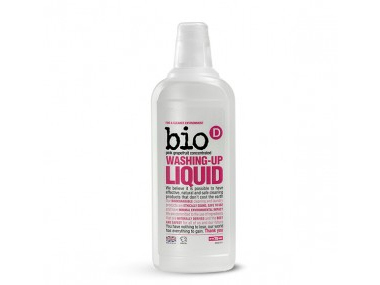 Buy Bio D Washing Up Liquid Grapefruit 750ml in the UK from our online shop or directly from our independent Scottish store. New in! A fragranced, natural washing up liquid by Bio D. A concentrated, low foam washing up liquid, excellent for everyday use yet tough on burnt on stains. A concentrated, low foam washing up liquid, excellent for everyday use yet tough on burnt on stains. Perfume free, biodegradable, and suitable for people with strong allergies. As official Bio D stockist, we sell genuine Cleaning & Laundry directly from our shop in Scotland and online throughout the UK. Bio-D is an independent, family-owned, ethically motivated company, dedicated to promoting the use of hypoallergenic, environmentally responsible detergents that have a minimum impact on the ecosystem both in their use and in their manufacturing process. Made in Britain. View more products from Bio D.
Where can you buy real Washing Up Liquid Grapefruit safely online? If you are wondering where you can buy Bio D Washing Up Liquid Grapefruit 750ml safely online in the UK, then shop with us. We are an actual health foods shop; with real people selling real foods and products. Our award-winning independent shop is located in Stirling, Scotland since 1976. You can buy our Hypoallergenic, vegan and environmentally friendly cleaning products and other genuine Cleaning & Laundry in store or safely place an order with us online or over the phone. Washing Up Liquid Grapefruit - Bio D Washing Up Liquid Grapefruit 750ml in Cleaning & Laundry and Household.